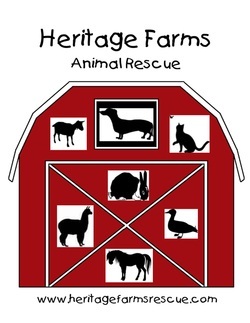 Heritage Farms Animal Rescue is a 501c3 group of volunteers whose main purpose is to provide temporary foster homes for animals saved from shelters, pounds, breeders, and owner surrenders. All of our animals are in foster homes until they are adopted where they are provided with the love and socializing they need. Mission - Heritage Farm Animal Rescue to dedicated to helping any dog in need, and will provide food, water shelter & vet care. We strive to educate the public on animal care and help alleviate animal neglect through intervention, education and outreach. Our animals are brought current on vaccinations and spayed or neutered. Some animals may not be altered and will be adopted on a spay or neutered contract. We run entirely by donations. We could not help as many animals as we do with out the compassion and support from the community! Pledge to Help Senior Pets! one person this month why senior pets make great pets. the Petfinder.com shelter or rescue group of your choice (official rules). Give a Dog or Cat a Bed to Lay on at the rescue click the link Below and find out how! Thanks For your Support! !